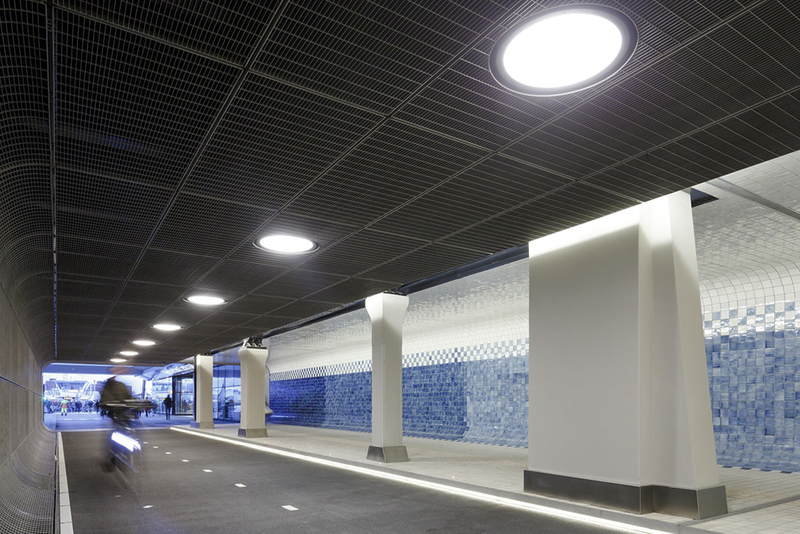 Amsterdam Centraal is being expanded and renovated radically in order to render it capable of processing 300.000 travellers each day – ten times the number of train passengers for whom Pierre Cuypers designed the 1889 station building. 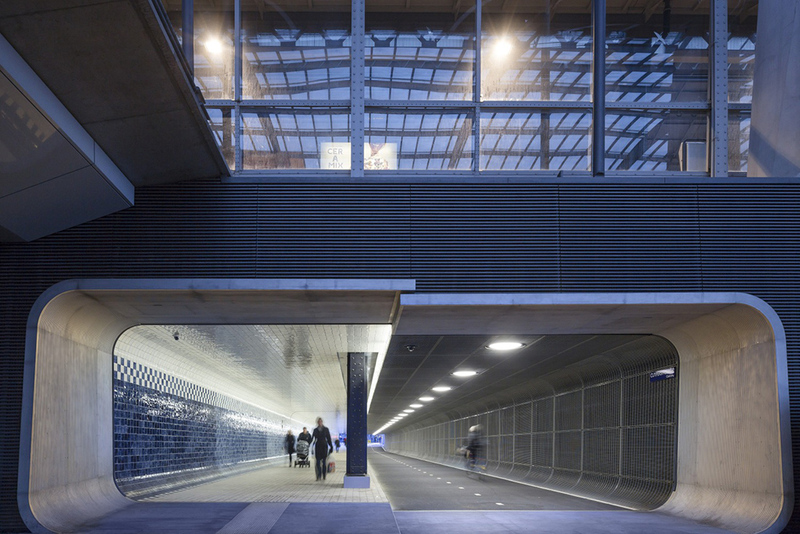 Benthem Crouwel Architects made the Masterplan for the transformation of Amsterdam Centraal in cooperation with Merk X. 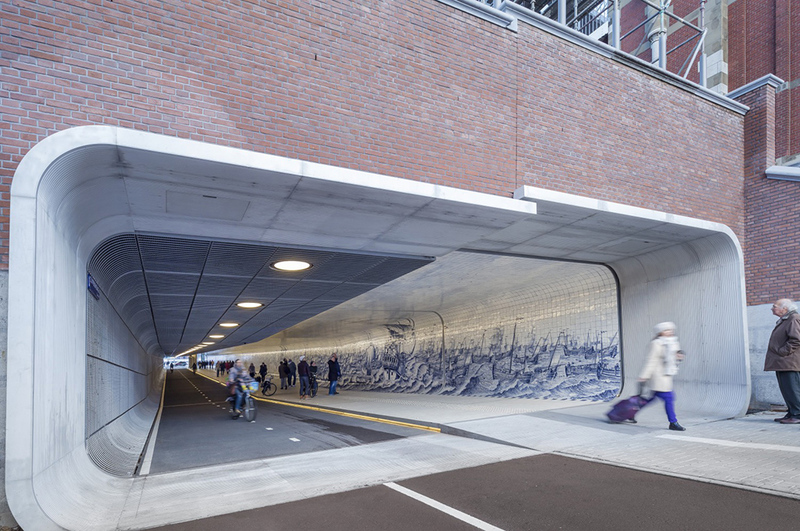 A Slow Traffic Passage has been provided for, in order to have the traffic route for cyclists coming from the city centre seamlessly connect to the cycle path along the IJ-waterfront and to the ferries to Amsterdam Noord. 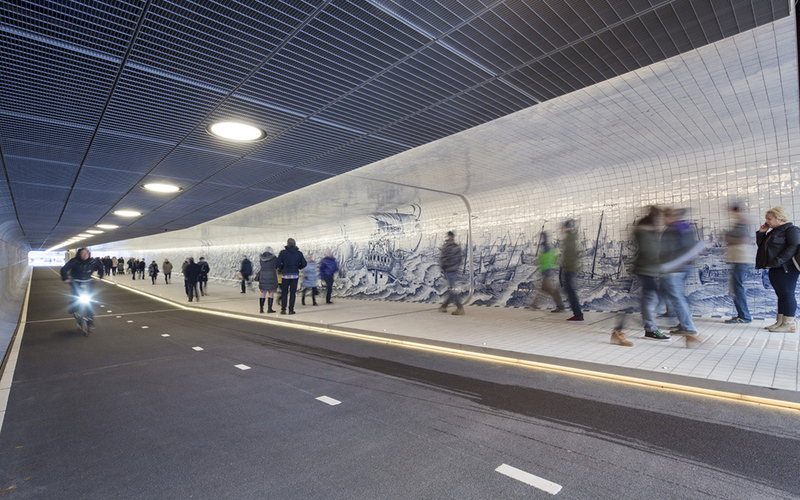 This tunnel enables cyclists and pedestrians to reach the bank of the IJ-river in a straight line from Martelaarsgracht. 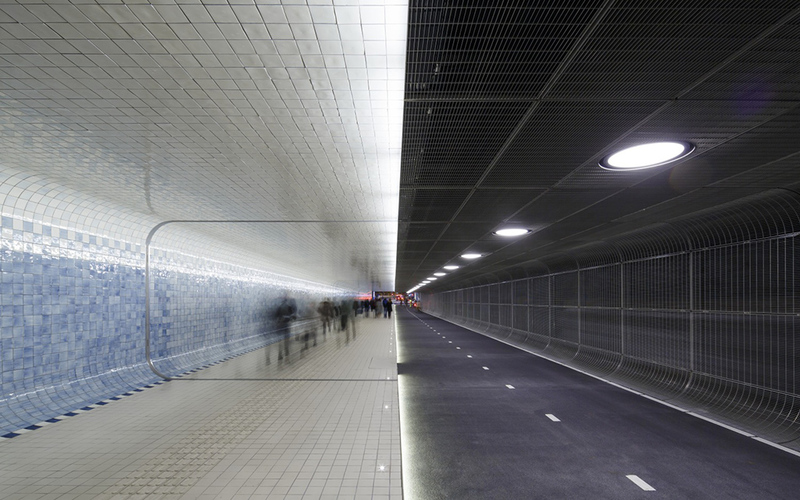 The passage is divided in two wide lanes for cyclists and pedestrians. 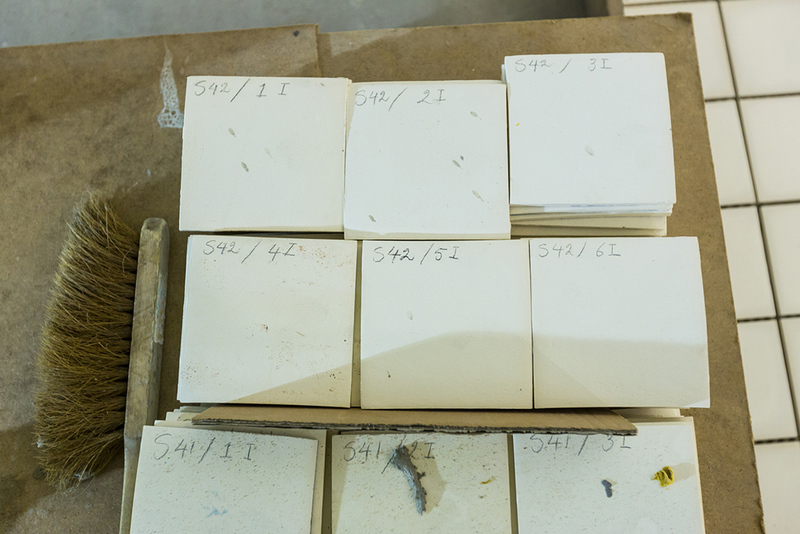 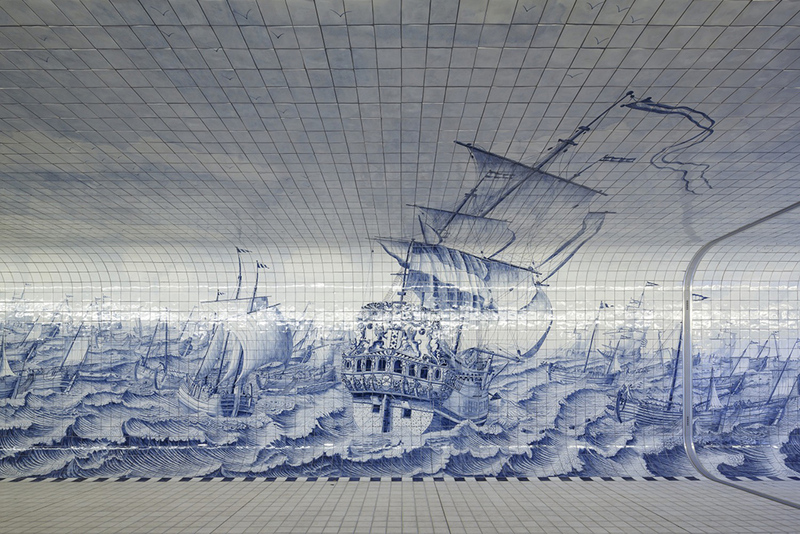 The passage through the tunnel is accompanied by Irma Boom’s artwork inspired by an 18th-century Delft Blue tile panel. 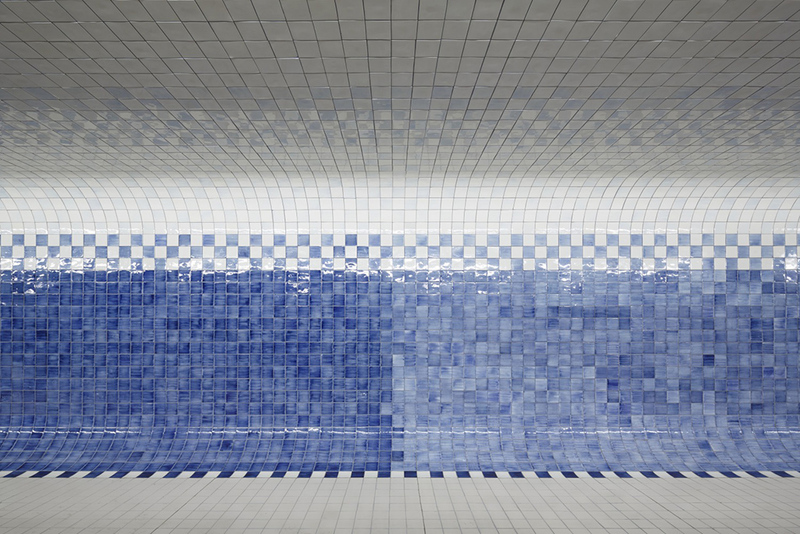 The Slow Traffic Passage was offically opened on 21 November 2015.